What Causes Split Ends in Hairs? Split ends are caused by many hair care and hair styling products that we generally use such as hair dryers, hair dyes, hair straitening and curling, hair extension, or even scratchy and rough bedclothes, hands & fingers. Improper hair care such as vigorous combing of hairs especially while the hairs are still wet and over heat of hair dryers also leads to split ends. Usage of curling irons should be done one dry hairs along with hair serum. Excessive use of such hair styling products should be avoided. Overuse of chemicals like hair dyes. Excessive brushing & combing of hairs. Brushing hairs while it’s wet. Use of unprotected plastic band. Excessive use of hairs dryers & iron. 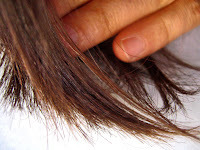 Split ends can be treated by trimming your hairs. Trimming your split ends will take somewhere between 30 minutes to an hour. Trimming your hairs should be done properly and regularly like every 6 weeks depending upon the hair growth. Make sure that the split ends don’t travel up the hairs which can worsen your splitting ends condition. Under proper lightning, nearby a good light source, sit comfortably and spot the split ends. 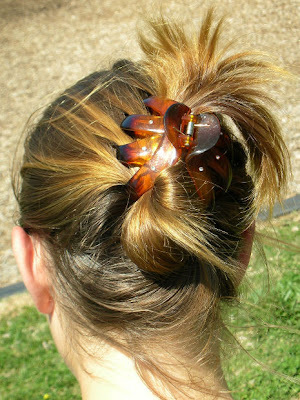 Take a bunch of the split ends and bend them downwards to make the split ends come out clearly. This will help you to trim the split ends with ease. Make sure you use a sharp scissor and cut off the split ends. While trimming, trim only the damaged parts (cuticle). Keeping your hairs healthy will also help you to prevent hairs split ends. Condition your hairs after every wash. At least once a month, deep conditions your hairs. This will keep your hairs strong & healthy. For dry hairs, use conditioners that have moisturizer. Impress a Girl through your Kitchen!